CAD drafting services have witnessed a sea change over the years with the advent of CAD technology. A few years ago, drafters, designers, and engineers just had the option of creating mechanical, architectural, and civil construction design only in two dimensions. But now analyzing and testing a design with its functions and determining if it’s going to work as intended even before manufacturing have become a reality. Thanks to 3D CAD modeling that the design and manufacturing process has become simple, fast, and efficient. It has also helped in improving design quality, avoiding human errors, and to communicate with both technical and non-technical people easy. 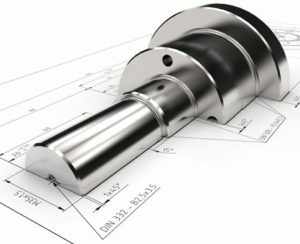 One of the greatest benefits that 3D CAD modeling has provided to manufacturers is the ease in communication, which is a crucial factor in the product designing and development process. Proper and real-time communication with the team boost confidence in the design and development of a product. 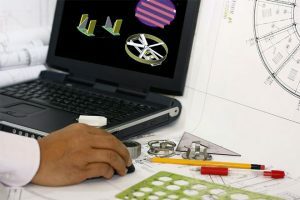 In CAD modeling services, conveying precise and accurate messages in real-time through drawings, 3D models and prototypes helps a lot in saving time and errors. 3D modeling designs also contribute in preparing customer presentation, and technical publications of the product. Besides communication, 3D modeling has also facilitated visualizing the product design in a far better way, which wasn’t possible in 2D drafting. Though 3D modeling hasn’t replaced 2D drawings completely since they are still being used for communicating with the manufacturing division and supply vendors, it can definitely improve product design and development lifecycle. • 3D models can help non-technical people understand the design features easily. The complexity of the design and its sole objective can be better explained to laymen. Most importantly, manufacturers can easily calculate the time and effort necessary for the designing and development of the product. • No matter how complex or simple the product design is, 3D models can help supply chain vendors to understand and express their requirements better owing to the easy representations of the design in thee-dimensions. • Since 3D models help visualize complex geometries, the production team can easily analyze the design features and prepare accordingly. The model can also help in gaining idea of the post-production or assembly process. The virtual simulation feature in 3D modeling software can reduce the development time as well as errors. • 3D models can help customers understand the product easily and offer suggestions, if required, before taking up production. This isn’t possible with 2D drawings. Moreover, they can be effective in marketing product to prospective customers. 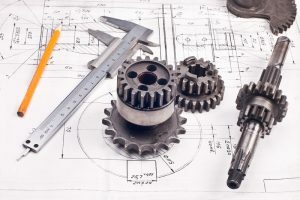 For better product design and development process, contact Zeal CAD Services – a reputed CAD drafting company in Melbourne with extensive experience in CAD, 3D Scanning, and 3D printing services.